Money Made in Pre-Construction Condos! Real Estate is such a hot topic these days that everyone in Toronto is so passionate it about, and I love that. What I love even more is the constant debate between the bears vs the bulls. 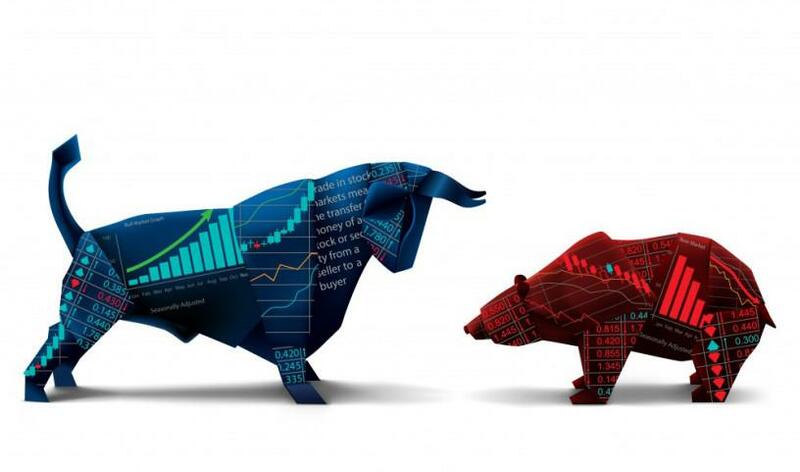 For some context, bears are “bearish” on the real estate market and believe the market will crash, whereas the bulls are bullish on the market and believe the market is strong. Grass is Greener on the Other Side? 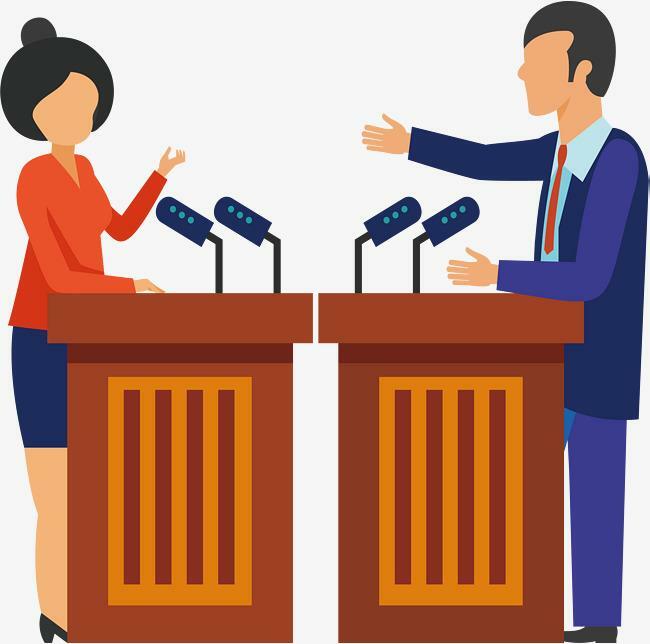 The bears vs the bulls real estate market debate reminds me quite a lot of the debate between Apple vs Android – both are great platforms for phones and they each have their own strengths and weaknesses. Having just switched from Apple to Android (Apple fans, please don’t hate me), I can see the merit for both. There are things that I miss about Apple (the ecosystem and how things run smoothly), but at the same time, there are a lot of things about Android that I like such as the customization and battery life for my super long days. I digress, this wasn’t what I was actually writing about! The reason why I brought up the phone debate is that I can see the merit for both the real estate bears and the real estate bulls as well. Both have very valid arguments and it’s always good to take an empathetic approach and understand both sides before coming to a conclusion yourself. Breaking Down the HEADLINES – Recently, two headlines that have taken a life of its owns are presented below and I wanted to give you a counter-analysis of them both to train your mind on how to actually interpret headlines. One counter-analysis will be slightly more bullish while the other will be slightly more bearish. Headline #1 – Condo owners make big gains, but nearly half aren’t making enough rent to cover costs. Headline #2 – They bought their pre-built homes at the market’s peak. Now they face financial ruin. I’ve gotten a lot of questions about them both and they’ve been brought up in conversations quite a bit recently, so I’ll address the first headline in this Insight Article. One mortgage broker was telling me how a lot of his “investor” clients have shifted their expectations from generating cash flow to just breaking even. Apparently, his “investor” clients are also willing to accept a monthly loss in order to gain the massive appreciation happening in the condo market right now. Needless to say, that point had me scratching my head even more. The term investor is in quotation marks here because these individuals who are incurring monthly losses on their investment property are not savvy investors. Breaking Down the Real DEALS – A result of confusing headlines like this, I started to analyze 3 pre-construction deals that are expected to close within the next year in order to give you all an idea of some real life numbers. In each of the 3 examples below, I’m going to give you the purchase price, the address of the condo, the layout and what the projected cash flow number is after mortgage, property tax, insurance, and condo fees. For privacy reasons, the unit number, and the purchaser will remain unknown. Grid Condo is scheduled to occupy in August 2018. I expect rent and condo prices to increase even more by the occupancy date. If my client leases the den as a second bedroom, the projected rent will be even higher! This unit at The Met was just recently assigned. 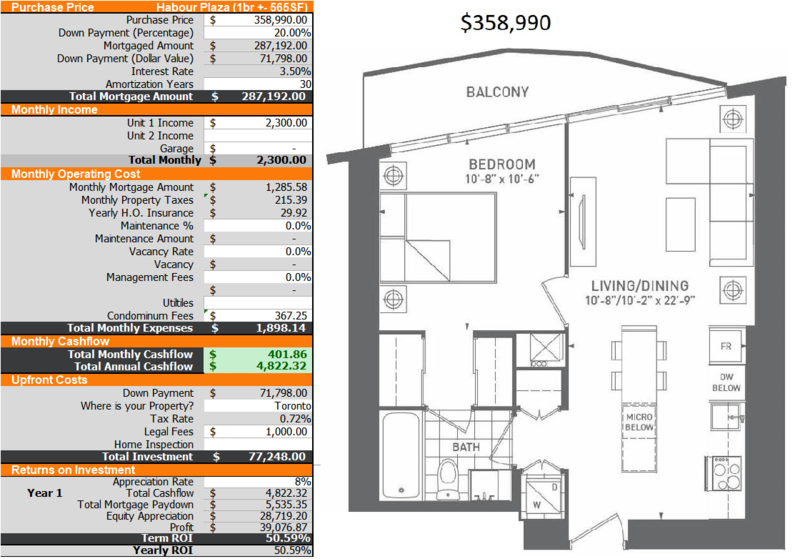 Purchasing the condo in the pre-construction phased yielded $93,000 in profits over 2 years, or 34.4% ROI. Pretty good for simply signing a contract 2 years ago. Even at the new purchase price this unit is just about to break even at current market rents. Harbour Plaza has already occupied. 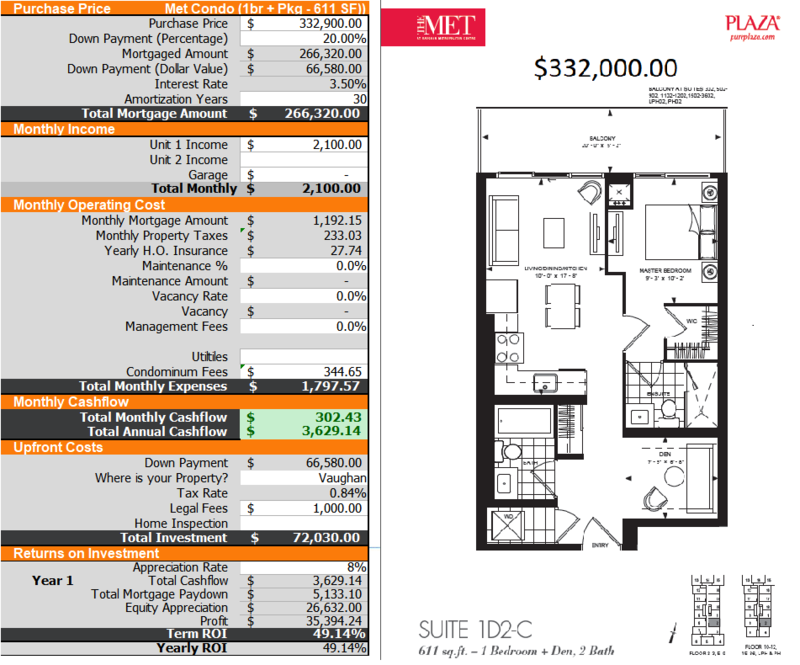 The tenant is currently paying $2,300/month right now during occupancy. 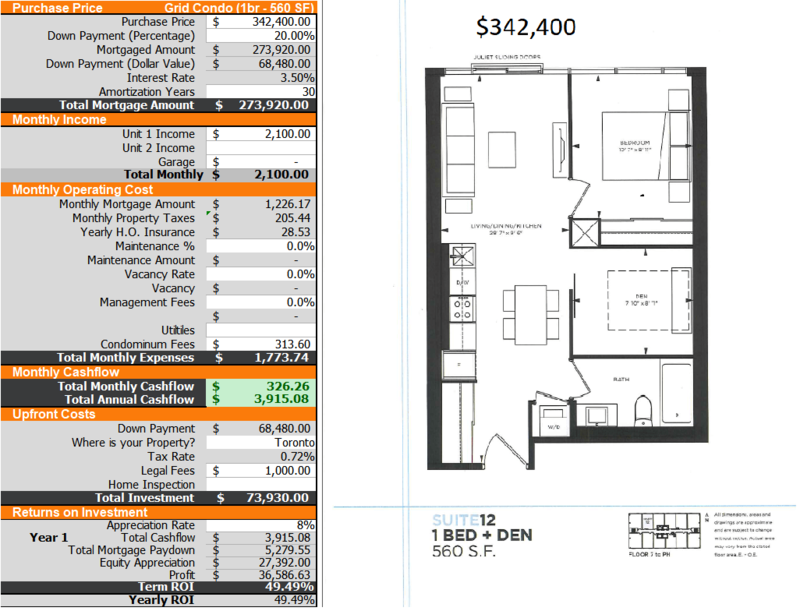 Upon closing, my client will have positive cash flow of $400 per month and have almost $200,000 in appreciated equity. They will be able to refinance the condo’s mortgage and pull out approximately $80,000 in equity, while still being able to break even on cash flow with the rental numbers. This investment was a home run. The Wrap – So when I see articles written about condo investors paying $500 a month out of pocket as a cost of their condo’s appreciation, it makes no sense. Those investors are clearly working with the wrong realtor who is recommending bad investment projects. Understanding how to evaluate each individual project is very important because not every pre-construction condo is worth investing in. Make sure you understand the game and not just blindly purchasing a pre-construction condo purely for the capital gains – that’s gambling. If you’re interested in learning more about how to make the returns in the examples above, feel free to contact me at 416-436-9436 or Zhen@PrimePropertiesTO.com.